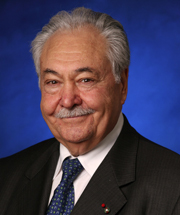 Eleven years ago, after I retired from my job as CEO of STMicroelectronics, I set up a not for profit organization to serve children in need, using modest resources from my retirement and the help and enthusiasm of many friends and colleagues. Over 32 village communities and tens of thousands of indirect beneficiaries have been positively impacted by our actions. These results have been achieved with a yearly average investment of 300.000 euros and an average overhead spending of less than 4% of our budget, through cautious project investment, leveraging on an important network of volunteers which helped us devolve nearly every euro donated to our projects in the intervention areas. We have helped disadvantaged children rebuild their future while becoming productive members of the communities where they live. We realize that our efforts are a little drop in an ocean of needs, but they are important for the people we can reach, and support our resolve to continue our activity. The Pistorio Foundation is a non profit organisaton that since 2005 works to promote and defend the inaleanable right of every child to receive a high quality education, considering it as a basic prerequisite to improve people’s lives and to foster sustainable development. Children’s rights to access a good level of education and thereby build a brighter future for themselves, their families and their communities is at the heart of Pistorio Foundation’s work. We strive to guarantee our beneficiaries a better future, promoting their inclusion and welfare in collaboration with the local partners we work with in a systemic approach. Throughout 2016, the Foundation has continued to maintain a very positive trend for the implementation of its programs and projects. We have continued to support our former students’ education, receiving positive feedback from the measurement of our program performance indicators and the testimonials we receive from beneficiaries and other stakeholders such as parents and school staff of their achievements during and after their long term education. In parallel, we have maintained our holistic village approach together with the scholarship programs empowering entire villages and communities towards collective sustainable development. Our mission is to improve the living conditions of children in the poorest communities and where there is the greatest need, with a focus on education. Since its founding, the Pistorio Foundation has been able to extend scholarships to over 3.500 children and over 470 students have completed their educational path, from primary to professional school, obtaining a professional school diploma. In the implementation of our mission, we cherish what we have defined as the Village Approach. Our conviction is that we need to ensure access to education to children in need of the most marginalized and underprivileged groups, such as those living in remote rural village communities. Our aim is to provide a holistic scholarship program that will address children’s education as well as health and nutrition, and at the same time address village health and hygiene and promote sources of livelihood for families so that within a decade they are able to sustain themselves and support their children’s education on their own. For every community we work with, we begin by tackling issues concerning barriers to education and health of children and, in a second phase, we work with local communities for village development improving access to water, electricity, and promoting agriculture and income earning opportunities. We have witnessed that in such villages, the school becomes the focal point of village life, where children learn not only academics, but also how to cultivate and grow their own food, and cooperate with their peers, and where parents meet with teachers and community members to be actively involved in their children’s education and also learn about hygiene, health, and empowerment through education in the process. Parents learn to understand the value of education and become more supportive of their children. The Foundation Scholarship Programs provide school age children what they need to attend and succeed in school: transport to school, school supplies, uniforms, school meals, yearly medical check-ups, and dormitory fees if their schools are far away from their homes. Our Infrastructure Program creates and improves school buildings, ensuring a safe environment conducive to learning and equipped with sanitation facilities and kitchens and canteens, and water and solar powered electric systems. Where possible, we promote gardening and agriculture activities at schools so children learn how to grow and harvest crops. Improved health care: through education, people are better prepared to prevent diseases and to use health services more proficiently. For example, young people who have completed primary education are less than half as likely to contract HIV as those with little or no schooling. Educated mothers have healthier children.Higher wages and economic growth: in many poor countries, with each additional year of schooling, people earn 10% higher wages. These incomes, in turn, contribute to national economic growth. No country has ever achieved a continuous growth without reaching an adult literacy rate of at least 40%. Democracy and political stability: education boosts the growth of civil society, democracy, and political stability, helping people to learn about their rights, gaining those skills and knowledge necessary to exercise them. Rich world, poor world: a guide to global development, Center for Global Development. Board of Directors and the Director of Operations: they are responsible for defining strategies to implement the mission of the organization and place their skills and experience at the service of the mission’s achievement. Country managers: they coordinate projects directly on the field reporting to the Headquarters, working also with local partners and maintaining relationships with local institutions and government bodies. 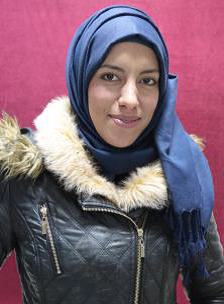 Volunteers: they are highly dedicated people who work with us for different purposes such as fundraising, supporting communication activities, conducting filed missions to verify the audit of projects, and to be involved in educational projects such as providing teaching or IT classes, among others. The Headquarter was moved from Geneva to Milan and the Singapore Volunteer Chapter has been closed in August 2016. According to a recent research study carried out by the OECD and UNESCO, Thailand finds itself at a crossroads. In less than a generation, it has moved from a largely agrarian low-income society to an upper middle-income country and a key contributor to the economic development of the Southeast Asian region. At the same time, the country has enacted major education reforms and invested a significant proportion of its national wealth into educating its youngest citizens. Overall participation rates in the school system are now improving, particularly at the pre-primary and primary levels, and a large number of youth continues on to higher and professional education. However, not all sections of society have profited equally from this expansion. Access and performance are particularly poor among children from disadvantaged backgrounds and those who live in rural areas. Huge disparities still remain and the benefits of the economic progress have not been equally shared by all children in Thailand. This is particularly true for the children of ethnic minorities, migrants, refugees and the very poor who mainly live in remote or very poor areas, often along Thailand’s borders with Cambodia, Lao PDR, Malaysia and Myanmar. Children belonging to these groups often are not registered at birth and therefore are deprived of many rights such as access to healthcare and education. In response to these issues, the Pistorio Foundation decided to intervene to tackle the existing challenges faced by marginalized children living in hill tribe and remote rural communities who were also at high risk of exploitation. 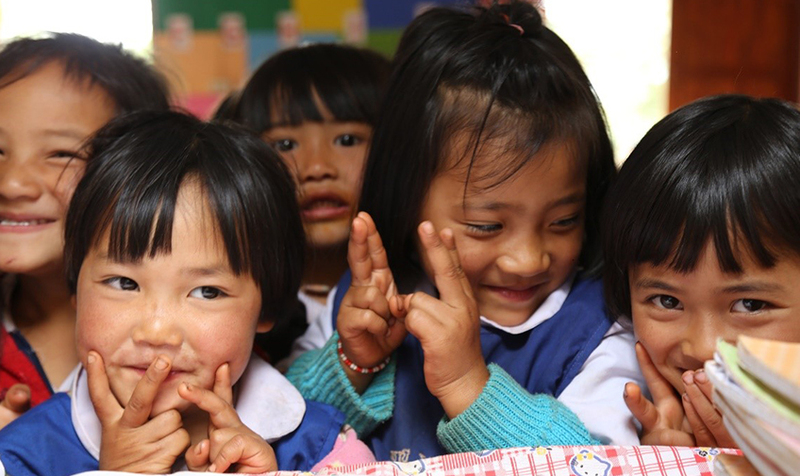 The Chiang Rai Village Project was launched in 2006 as a concrete sign of the organization’s commitment to increase the enrollment rate and access to quality education of hill-tribe minorities while supporting communities and villages to become self-sustainable through agriculture programs. The project is currently the main activity of the Pistorio Foundation and fully reflects the village approach, according to which village by village the organization ensures that children are given access to education through its scholarship program and by improving or building infrastructures in the most remote villages, and subsequently addresses issues of community development including access to water and health and family income. The project has grown steadily and significantly over the years and we have been able to send over 3.000 hill-tribe minority children to school since 2006, providing them what they needed to access and succeed in school including school fees, uniforms, school supplies, transportation, meals in school, medical check-ups, teacher supplementation, and tracking of their scholastic progress and general development. Moreover, new and improved village school infrastructures which we equipped with sanitation facilities as well as proper kitchens and canteens, and educating children on hygiene and access to medical assistance, helped significantly improve the living conditions of the entire community, as incidence of common illnesses dropped and general hygiene and health levels improved. 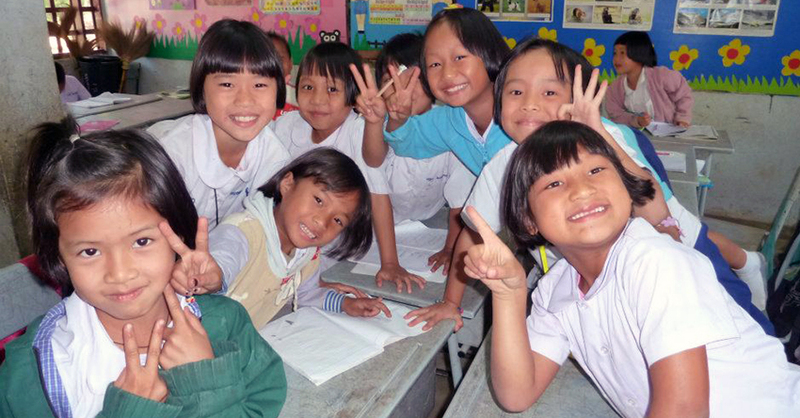 We currently support the education of over 1,000 hill-tribe children in Northern Thailand from 14 villages, and rely on 30 school infrastructures that we have completed over the years (including primary and secondary schools, kindergartens, nurseries, teacher accommodations, libraries, computer rooms and sanitation facilities, among others). We maintain relationships with the key relevant stakeholders to verify the level of education provided by schools and to oversee the students’ academic progress while identifying possible issues and their required solutions. These initiatives have been completed, in selected locations, with the multidisciplinary school garden project. The key idea is to teach hill-tribe children from a young age how to cultivate and produce food that can be then consumed for the school canteen meals. The project fulfills multiple purposes including integrating the school curricula; improving self-sustainability of village schools through the active participation of its main stakeholders – children and school staff; introduce children to agriculture and skills that they may develop in the future and use as potential sources of income; improve overall health and nutrition of the community through the cultivation and consumption of fresh and organically grown food; increase awareness within the community of the importance of environmental protection issues and respect of the soil and land through organic agricultural methods. In 2016 we launched a partnership with STMicroelectronics Foundation in order to allow our professional school beneficiaries the possibility of attending computer classes. The Digital Unify program, that we propose through this collaboration, has the aim of delivering basic Information Technology skills and notions through a 20-hour course where the students can become acquainted with and learn how to independently use IT tools for educational purposes. The students are also allowed access to the computer facility outside course hours and after the completion of the course, in order to use these tools, consolidate their newly acquired skills, and access the web. “My name is Arisa. I graduated in accounting with honors thanks to my strong determination and the support I received from Pistorio Foundation. I come from Myanmar and I arrived in Thailand with no citizenship trying to find a good quality education to have more chances to build a better future for me and my beloved ones. I stayed with my relatives in Phanaseri, an Akha Hill-tribe village located near VBAC in Chiang Rai. Here I decided to attend the vocational training program in accounting. Pistorio Foundation started supporting me when I was in lower secondary school and it has continued till the end of my graduation at the vocational school. Today, after my graduation, I can say that my decision has strongly demonstrated how education is the key to success in life. After my graduation, I was offered to work in Bangkok! Arisa is an exceptional student and has been twice recipient in past years of national competitions in accounting arriving first and second place. 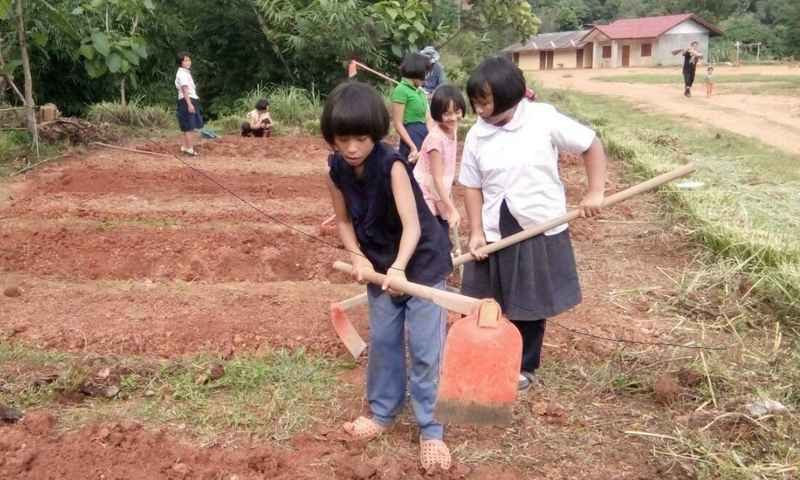 1073 students from 14 villages in Chiang Rai and Chiang Mai provinces were supported in various schools from Kindergarten to University. 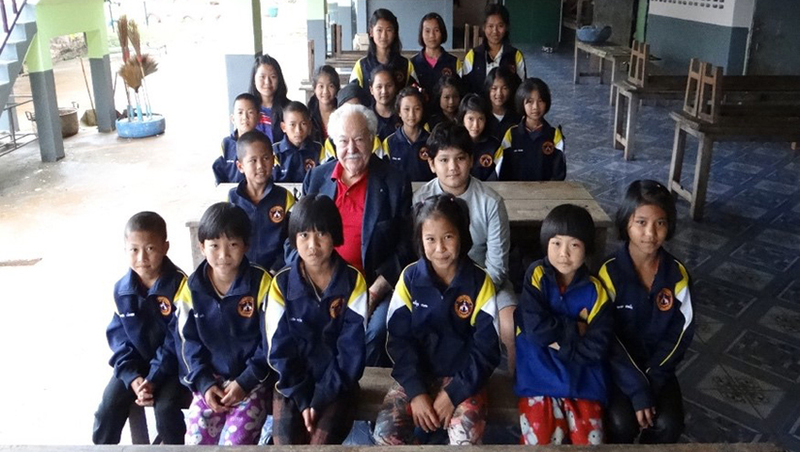 94 students were enrolled in our scholarship program, attending professional schools in Chiang Rai, Chiang Mai and some vocational training centers in Lamphun and Lampang provinces. 42 students graduated and received a diploma. 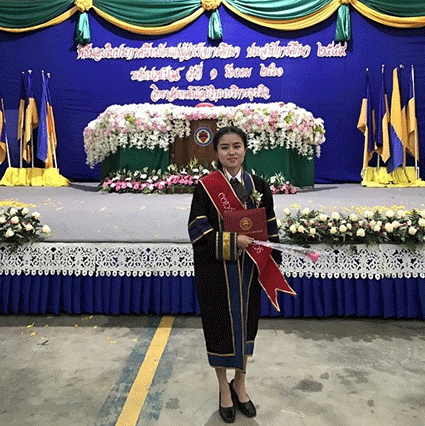 1 student is studying Engineering at Rajamangkala University of Technology Lanna. 333 students received transportation from villages to the closest schools in their area. 512 uniforms have been distributed. At Kaw Dormitory, we supported boarding fees and provided meals for 15 students. We supply 7 assistants to the dormitories where our students are staying. To improve the quality of education in school, we support 1 teacher’s salary at Huay Kuk School due to shortage of teachers supplied by the government. The project was launched in 2006 and has reached over 3000 students. 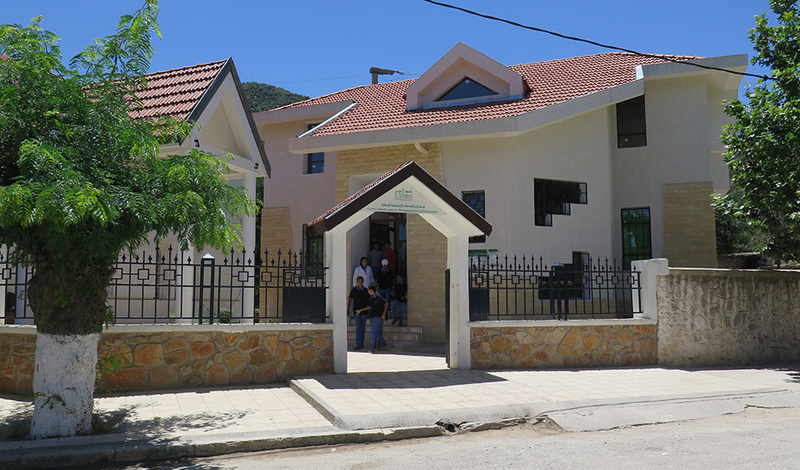 In 10 years we completed 38 infrastructures projects, namely: 3 Primary Schools, 3 Teacher Accommodations buildings, 1 Secondary School, 3 Kindergartens, 7 Dormitories, 3 Libraries, 3 Computer Rooms, 5 Preschools, 2 Playgrounds, 1 Arts and Music Classroom Building, 3 Canteens, 3 Clean Water Systems, and 1 Health Post. Burkina Faso is a low-income landlocked Sub-Saharan country. Despite the abundance of natural resources, Burkina Faso remains one of the poorest countries in the world today with almost the entire population living below the poverty line. 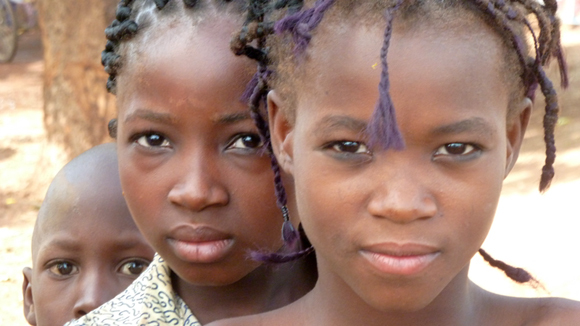 In other words, the majority of people in Burkina Faso today live with less than $1.25 per day. Access to sanitation and electricity is scarce, while insufficient investment in education and infrastructure make any development gains hard to maintain. Droughts and desertification have severe effects in these parts of the world negatively affecting agricultural activities. Other factors such as overpopulation, overgrazing of farm animals, deforestation, etc., continue to boost soil degradation and environmental deterioration, and also adversely affect agricultural output in the country leaving many in absolute poverty. Poverty is especially severe in rural areas where the majority of the population lives. Burkina Faso has the lowest literacy rate in the world. The country’s adult male literacy rate is about 40%. Female literacy rate is even worse at (29%) which also contributes to the high teenage pregnancy rates and extremely high levels of poverty in the country. In 2006, Pistorio Foundation partnered with Centro Italiano Aiuto All’Infanzia (CIAI), to intervene in the country with a specific project dedicated to support the education of 119 unprivileged students from the rural region of Boulkiemdé. The key scope of the intervention was to improve the enrollment rates in the region, along with access to basic health care, nutrition and hygiene training. 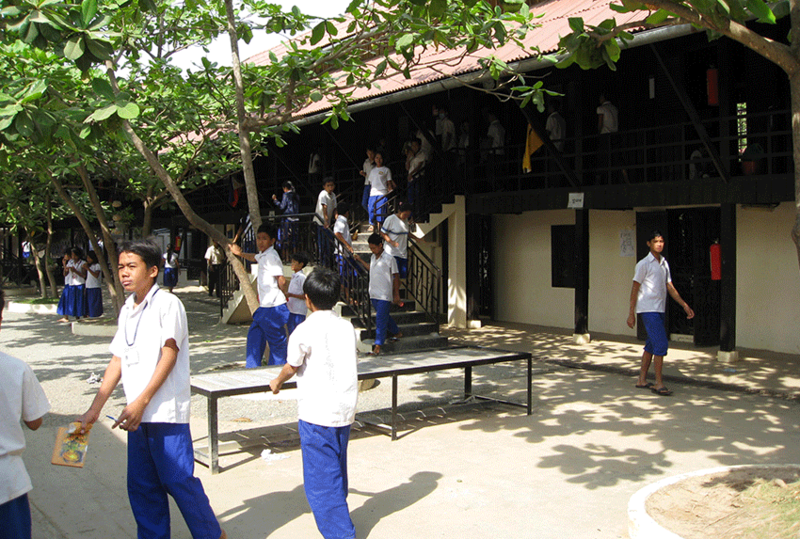 Aware of the lack of sufficient infrastructure in the national education system and particularly in rural areas of the country, the Foundation’s activity grew in 2007 with the construction of improved facilities in the Primary School of Nibagdo, involving the expansion of the school with new classrooms and with sanitation facilities, canteen, and kitchen. 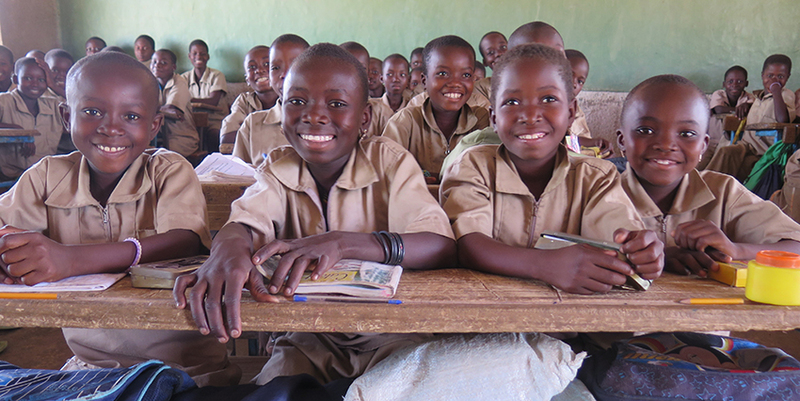 In 2009, the Foundation further embarked in a significant regional project creating a large secondary school in the nearby village of Sogpelcé that could serve a dozen of the surrounding villages, including Nibagdo, and hold over 500 students. The project was further expanded in 2015, when the Foundation, together with other donors, built three new classrooms and completed the electric and water systems. These efforts were well received and recognized in the country, and our secondary school soon became the best in western Burkina providing a very high standard of education owing to its solid, pleasant, and functional facilities, and to the quality of its staff. At present the Foundation is continuing to support 37 children on scholarship. Thanks to the sponsorship our beneficiaries receive one meal per day, yearly medical checkups, transportation fees, medical treatments whenever they are necessary, sports equipment, and take part in summer school activities and benefit from the empowerment of teachers and parents’ associations. 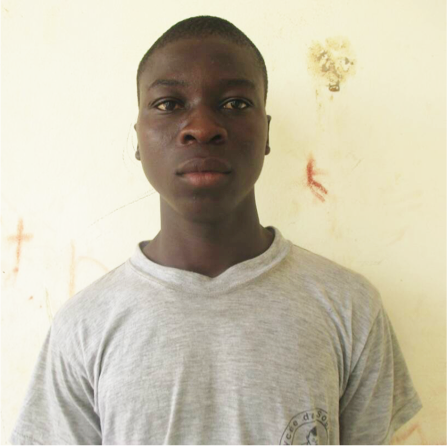 “Hi I’m Kiemdé Sayouba, and I’m attending Sogpelcé high school. I’m so thankful I had the chance to be part of the sponsorship program. It has helped me build a better future by becoming more responsible thanks to the new teachings I receive at school. “I am Kiendé N. Norbert’s father. My son is attending the high school in Sogpelcé. I am very happy for the help that CIAI and Pistorio Foundation are providing through the sponsorship program. Thanks to this initiative I was able to enroll my child at the Sogpelcé high school unlike other parents who were not so lucky. They helped us pay for school fees and school supplies. With this support we could use our savings to take care of other family needs. My child, having the chance to go to school, grew up differently from his friends who didn’t receive the same opportunity. Now he can help me write letters, and he is smarter than his friends who stayed at home. The project started in 2006 reaching over 120 students. Following more than two decades of solid economic growth, Cambodia has reached the lower middle-income status as of 2015, with gross national income (GNI) per capita reaching US$1,070. Driven by garment and tourism exports, Cambodia has continued an average growth rate of 7.6 % in 1994-2015, ranking sixth in the world. According to preliminary estimates, economic growth slightly eased to 6.9 % in 2016, compared to 7% in 2015. Despite the strong economic growth, and the efforts done along the years to reduce poverty, many challenging socioeconomic issues still remain. The vast majority of families who escaped from poverty were only able to do so by a small margin and around 4.5 million people are still living in precarious conditions brushing the line of extreme poverty. Universal health and education also continue to constitute significant challenges and development priorities for the country. 33% (around half a million) of children under five are stunted due to health issues and malnutrition. While net enrollment in primary education increased from 82% in 1997 to 97 % in 2016, at lower secondary level, completion rates at 43 % in 2013 are significantly below the average for lower middle-income countries. 79 % of Cambodia’s population (12.3 million people) do not have access to piped water supply and 58 % (9.3 million people) do not have access to improved sanitation. The Pistorio Foundation has partnered with Pour Un Sourire d’Enfant (PSE) since 2006 to contribute to its scholarship program which has the objective of giving the opportunity to students who due to extreme poverty have been out of school for many years, to go back to school and have access to an accelerated “catch-up school” program that allows them to cover two academic years in one. This system gives them the chance in six years to complete 12 years of regular education. Subsequently, beneficiaries enroll in professional school and vocational trainings that empower them with professional school skills and certification. Beneficiaries that complete their education and professional school at PSE are known to obtain jobs more easily because of the high quality education they receive. PSE has received in numerous occasions formal commendements from the Ministry of Education for the activities that they have been carrying out and it has been invited by the government to be part of the strategic committee devoted to planning vocational training centers as well as more “catch up” schools following the PSE model, throughout several provinces in Cambodia, which are underway in the implementation phase. Since 2007, we have supported over 180 students of which 90 have already obtained a professional diploma and are now working, raising their families’ standard of living and looking forwards to a brighter future. Paisy, Teacher at PSE School of Hospitality. “Hello, I’m Paisy and I am 21 years old. I come from a poor family of six brothers and sisters. I came to PSE in 2006 because my parents could not look after me properly. I first studied at the primary school and then at the vocational training school of Hospitality & Tourism. There, I learned a lot about Food Production. I also had the chance of attending international courses in Thailand and France. nutrition: students receive breakfasts and lunch on a daily basis, menus are supervised by a medical team. 90 students have completed professional school since the inception of the program in 2009. Over 180 students have received long-term scholarship support from Pistorio Foundation. Education is considered as one of the key pillars of society. It contributes strongly to the development of any country in all sectors including the economy, public health, justice system social services, etc. In Morocco, however, education still needs to be placed by the government as a top priority of their political agenda, both in terms of human resources as well as financial aid and investment. 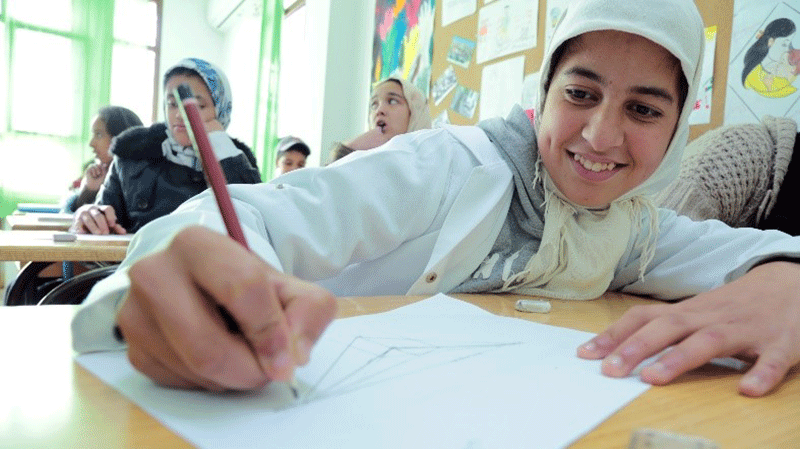 Since Morocco’s independence, its educational system has faced many setbacks, and despite the various reform stages it has witnessed, none of them has succeeded to resolve the heart of the problem and provide long lasting sustainable solutions for universal quality education and high rates of enrollment. 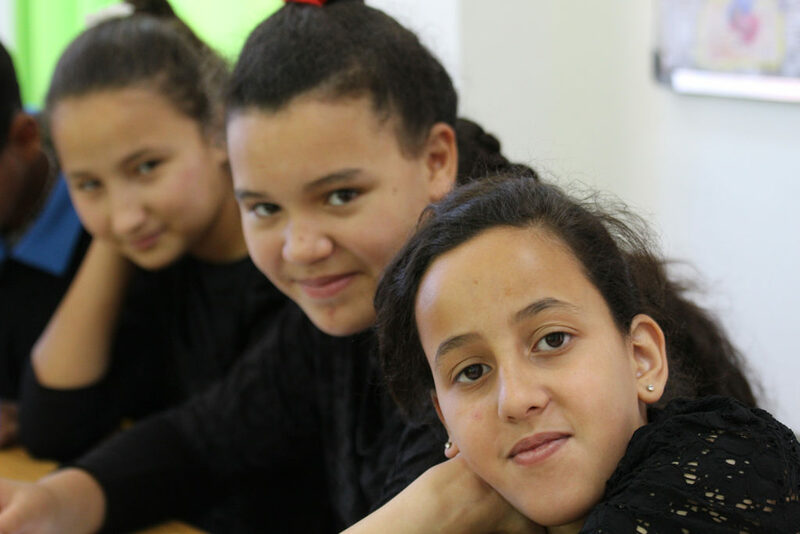 One of the key steps taken to improve the existing situation is the “Non-formal Education Program” (NFEP), launched in the country to curb illiteracy and ensuring education for all while fighting against one of the major problems of the Moroccan educational system: high dropout rates. The NFEP is a flexible solution for student dropouts aged from 9 to 17 years old that aims to overcome the difficulties that prevent children from going to school. Its goal is to provide education for all and reintegrate school dropouts in the educational system. Both government and NGOs work together to improve educational opportunities for underprivileged children in impoverished communities. The government has created an official Non Formal Program with specific guidelines that provides a second chance for school dropouts and the possibility of being reinserted in the Formal School system following the two year NFEP Program. Grassroots NGOs roll out the program across the country, creating the financing framework, providing the infrastructure and human resource support, and identifying and selecting beneficiary students. The government assists and audits the roll out of the program and assesses its impact nationwide. Pistorio Foundation started operating in the country in 2010 with its long-time partner the Azrou Center for Community Development. The aim of the intervention was to initiate school dropouts to a new educational option in line with the government curriculum. The beneficiary children came from very poor families living in critical conditions of extreme poverty. Most of them were out of the formal public education system, living on the streets and mostly engaged in criminal activities or child labor. Before attending our school, the only future they envisaged was becoming beggars or child workers to help their families raise money. In our school, their lives have been transformed, they are injected with new hope, renewed self-esteem and confidence, dreams and hopes for a better future, and new aspirations to realize and capitalize on their talent, potential, and preferred career options. In our school, they have found a new outlook for life. The educational curriculum is designed for students aged from 9 to 17 years old. While older students also receive professional training classes such as hairstyling, tailoring, carving and weaving, all students have access to regular school classes such as Math, Arabic, French, Science, as well as IT, physical education, theater, and art. Students are also regularly taken on cultural and sports field trips to help them broaden their horizons and form stronger bonds amongst one another. Based on the excellent results and positive impact our program has had on the lives of many children and the local community, we received the compliments of the Moroccan Minister of Education. It recognized our center as the most successful Non Formal Education program rolled out in the country. 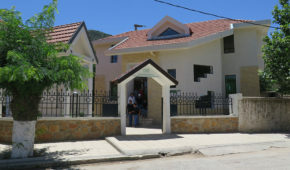 The project moved forward in 2013 with the construction of a school at our partner’s premises that is fully dedicated to the implementation of NFE Program. The building can count on all the facilities needed for an environment conducive to high quality education such as workshop rooms, sanitation facilities, well-equipped classrooms, kitchen and canteen. “My name is Chaimae. I quit school for personal reasons years ago and I finally decided to join the Azrou Center after a few years of being out of school. When I started studying I realized that the school was offering many professional courses like hairdressing, wood engraving, cutting and sowing that could be really interesting for me.